In a statement on Monday, the Pakistani Ministry of Foreign Affairs said the draft had been shared “in line with Prime Minister Imran Khan’s commitment” to open the pilgrim corridor in time for the 550th Birth Anniversary of Baba Guru Nanak in November 2019. The Pakistan government also appointed its Director-General (South Asia & SAARC), Dr. Muhammad Faisal “as the focal person on Pakistan’s side and requested that the Government of India designate a focal person at its end”, the statement said, and called for an Indian delegation to travel to Islamabad to finalise the agreement. “Pakistan would continue with its efforts to bring peace and stability in the region,” the statement added. 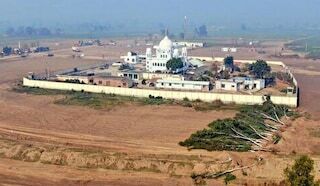 The Kartarpur initiative is seen as an exceptional case for the Indian government, which has refused to open talks with Pakistan on any other issue until concerns on terror are addressed. It has agreed to work with Pakistan on the plan to help Sikh pilgrims access the sacred site, which is just four kilometres across the border from India. Among the issues that need to be finalised are the exact point of crossing over for the pilgrims, the identity cards required, as well as security procedures and guarantees needed by both sides. In a previous draft, Pakistan had proposed a 14-point agreement, which included visa free travel for the pilgrims who would be processed at checkpoints on both the Indian and Pakistani side. The agreement included setting up a database of all pilgrims visiting, with a suggested cap of 500 pilgrims per day. Earlier, the MEA had said there should be no restriction on the number of pilgrims or visiting hours. However, given security protocols, the Ministry of Home Affairs concluded that a cap would be necessary. The draft agreement from Pakistan also proposes to keep the corridor open from 8 a.m. to 5 p.m. every day.